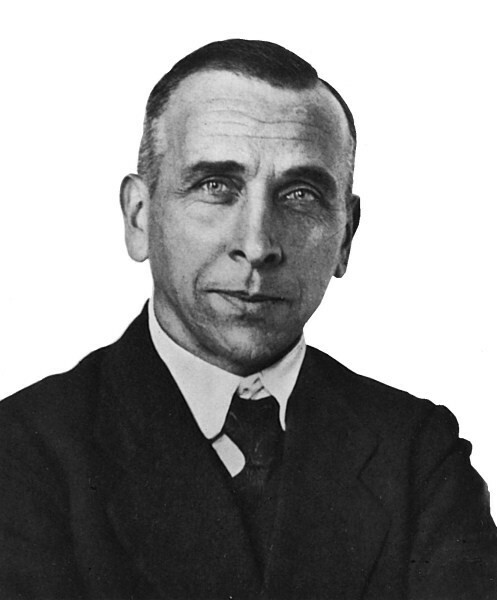 Continental Drift is the theory created by Alfred Wegener in 1912, that all continents are on a plate that are constantly moving along the Earths asthenosphere. He was able to prove this theory with evidence of the super continent Pangaea and that all of the continents fit together like puzzle pieces. If this was not evidence enough in 1946, Harry Hess, a geologist discovered that the Pacific floor was shaped like a bunch of "flat topped mountains". In 1960 he then said that the movement of the continent was a result of seafloor spreading, the formation of a new land from the rising magma at the mid-ocean ridges. 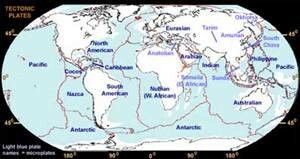 The theory of plate tectonics is that the Earths outer layer ( the crust ) is made up of plate in the Earths lithosphere. 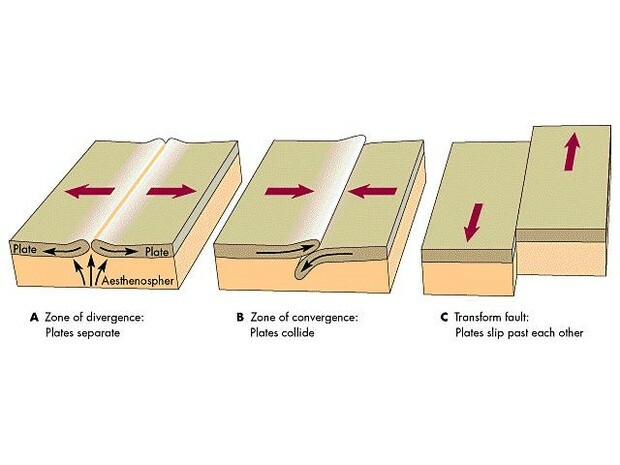 Plate tectonic goes hand and hand with the theory of continental drift. Since these plate are moving and the Earth is only so big it is inevitable that the plate will make contact with each other. They may converge and push against each other, but if on is less dense than the other the denser of the two will sub duct underneath the other. This could lead to the formation of a deep sea trench. There are also divergent boundaries where the two plates are moving away from each other, this occurrence causes the formation of volcanic islands and is responsible for The Great Rift Valley and the Ring of Fire. 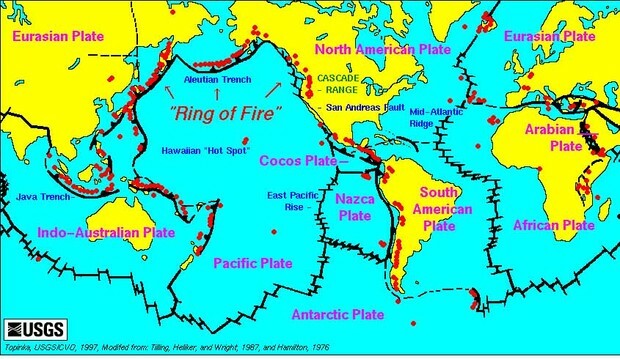 The Ring of Fire being a massive chain of volcanos and shows us the most seismically active regions on Earth, in this regard it is useful and unique. Last but certainly not least is a transform boundary which is where the plate are sliding past each other in opposite directions.